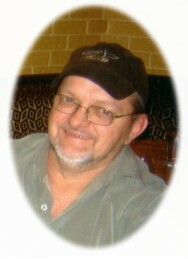 Passed away peacefully at home with his family by his side on Sunday, December 23rd, 2012 at the age of 57. Beloved husband of Debbie for 33 years. Loving father of Cindy-Lee, Kortney and Bobby and grand dogs Kookie and Rico. Loved son of Dorothy and the late Eric Thompsett. Brother of Donny (deceased), Barb, Helen, Jimmy and Terry. Son in law of Jack and Sandy Shea and the late Margaret Shea. Brother in law of John (deceased), Mike, Danny, Kelly, Greg, Scott and Jason. Bob will be sadly missed by all his relatives and friends. Special thanks to Dr. Mervyn Stone, Dr. Mark Stone, all the nurses on the Palliative Care Unit at the Ross Memorial Hospital and the many other doctors and nurses who helped with his care. The family will receive friends at Parker Funeral Home and Cremation Centre, 19 Moose Road, Lindsay on Friday, December 28th from 12:00 pm until time of funeral service in the chapel at 1:00 pm. Reception to follow. Interment to take place at Riverside Cemetery following the reception. Online condolences may be made at www.parkerfuneralhome.ca.